What are the Top 10 things to do in Malta, culture, temples, the capital city, beaches and Grand Harbour, and things to do that makes your holiday in Malta so special to visit such a wonderful Island. For a first-timer traveling to Malta, The Malta Experience gives you a fast way to get a glimpse of the 7000 years of history through what this Island entails. 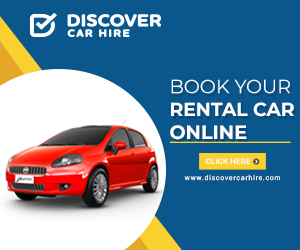 For the more frequent visitors you can plan your holiday and see the locations you might have missed from your last visit or else you can revisit once again the favorite places you enjoyed most and also understand our Maltese culture. You can easily visit all of these top Malta tourist attractions because they are interwoven into accessible areas beside main roads, public transport routes, nearby hotels and restaurants. The sightseeing tours will take you round all these sights where we have also marked for each location which route covers these locations. The Top 10 Things to do in Malta is a very good overview of what Malta can offer and gives you a good number of holiday attractions to enjoy. An audio visual show interpreted in sixteen languages showing the interesting story of the island of Malta 7000 years of history. The history of a small nation that was inhabited by different civilizations. Maltese culture and traditions are shown through this audio visual show showing all about the Islands. It has defeated incredibly unusual circumstances during a long period of time, progressed so much to become a nation and a member of the European Union. After this show you can walk along the bastions for a wonderful view of the Grand Harbour and its lovely surrounding areas. Along you can see the Siege Bell Memorial commemorating the 50th Anniversary of the presentation of the George Cross. To enjoy a ride round the Capital city Valletta you can take a ‘Karozzin’ as we say in Maltese (it is a horse-drawn carriage where you can find it outside The Malta Experience, and you can see how Valletta looks during the day and stop for a drink on the way in one of the beautiful cafe’s. The National War Museum at Fort St. Elmo just opposite the road. Visit the Lower Barrakka Gardens where you can relax and have a drink at the local bar. The capital city Valletta is full of interesting sites to see where each has its own unique story and character. Valletta started to be built in 1566 by the Knights of St. John after they won the invasion against the Turkish army who had invaded the islands of Malta. At the time Grand Master Jean Parisot de la Valette had felt that a new fortified city was needed to guard the two ports the Grand Harbour and Marsamxett harbour. You will enjoy seeing St. John’s Co-Cathedral, Caravaggio paintings and museum with its prestigious treasures. Also you can go and visit the Grand Master’s Palace and the Armoury Museum within the same building. Other museums can be visited, National Museum of Fine Arts, Casa Rocca Piccola, Lascaris War Rooms and Fortifications Interpretation Centre. The Upper Barrakka Gardens is one of the most visited locations. Do not miss it. While you are at the Capital enjoy shopping and eating in one of the Valletta restaurants or cafe’s you find along. Keep in mind the changing of the guards every last Friday of the month starting at 10.30am with the participation of the Armed Forces of Malta band marching through Republic Street up to the Palace Square. Activities in Valletta are not few. A variety of holiday attractions tours are available. Also at your hotel or the tourist offices. Sightseeing tour South Red Tour passes from the panoramic road around Valletta with stops at this location. Take the Valletta Grand Harbour boat tour. Mdina called The Silent City an incredible mixture of Baroque and medieval architecture, with its’ narrow roads. The 17th century cathedral is visited every day by many tourists. Situated in the centre of the island on top of a hill 200 metres above sea level. It was the capital city of Malta until the arrival of the Knights of St. John in 1530. Mdina gives you a peaceful and serene mood. The beautiful Mdina Cathedral and museum. The National History Museum, Palazzo Falzon, and Carmelite Museum. You can visit the Mdina experience which is an audio visual show featuring the history of Mdina through the olden times to the present moment. Shows are held on Monday to Friday from 10.30 till 16.00. The Mdina dungeons is another interesting place to see located just as you come in from the main entrance gate beside the playing field. Sightseeing tour North Blue Tour- Drop off at Mdina main entrance gate. Malta Pub Crawl came along as a nightlife guide to get you through the hectic party scene in Paceville. The Pub Crawl takes you on a positive clubbing journey. Starting at a rooftop bar and ending off the night at St Julian’s largest nightclub. The Pub Crawl is an exhilarating experience and often helps you making friends that lasts a lifetime. There are many bars, clubs and pubs in the area but you will not know where to go and what to choose. Many with different party themes. The popular ones with Salsa and Latino music, the Hip Hop, R&B clubs where the atmosphere can be more cool and a more entitled crowd lurks around. There’s the gentleman's clubs, which are seemingly on every corner. There is the shot bars popular for some pre-session hits of strong spirits. Hidden away are the gems, the beautiful venues with class and elegance. Hard to find and often missed. The clubbing often goes through the night partying early morning. Malta Pub Crawl chooses its venues according to what's happening on the night. The meeting point is in Paceville Piazza and the experience includes 30 minutes of free shots, 4 entry drinks, 4 venues and Maltese humour. If you’re new to Malta its a great idea to join the Pub Crawl, it's a great way to make new friends and hit up the clubs with a cool group of people and avoid the creeps. Malta is surrounded by rocky and sandy beaches ideally to swim for many months during the year. Popular beaches are Paradise Bay, Mellieha Bay, Golden sands, Armier Bay and Sliema front. Besides the beaches you can go to Lidos and private pools. Malta has more hours of sunshine than any other European country. It makes it perfect to enjoy the numerous beaches with different charming characters. From very shallow sandy beaches ideal for children to deep blue sea for snorkeling and diving. We suggest that you swim at various sandy and rocky beaches each with their own characteristics. The most popular ones are reachable by public transport. Trips are more frequent during the peak summer months. All beaches are reachable by car. Various lidos at the most popular beaches offer various facilities. We suggest Paradise Bay, Golden Bay, Ghadira Bay, Armier Bay and Sliema Sea front. For a complete list of Maltese Beaches. Various beaches in Malta are Blue Flag beaches & swimming zones both during the summer months. Both Sightseeing tours for the north and south pass from locations ideal for swimming. An opportunity not to be missed when visiting Malta are the many village feasts in all towns and villages around the islands especially between May and September. The villagers celebrate the feast of their patron saint with great fanfare, colourful decorations, band marches, a unique for Malta. The village feast days highlight the actual feast day but every village have a program spread on various days before the feast day. If you intend to go we recommends to ask for further details. Various Malta guided tours are organizes to local feasts. The Blue Grotto is a picturesque location close to the inlet of Wied iz-Zurrieq a few kilometres from the village of Zurrieq. Located in the south of Malta, series of deep natural sea caverns attracting many tourists all year round. A 20 minute trip to a short distance. The caves mirror the underwater flora colours providing a spectacular sight for the visitor offering blues and greens colour reflections from the underneath deep sea. One of the top 10 places to visit in Malta. You can have a lovely meal of fresh fish at one of the restaurants at Wied iz-Zurrieq. A short drive away you can visit the Mnajdra and Hagar Qim megalithic temples. The area is very popular for divers and there is one of the best artificial wrecks of Um El Farouk artificial reef is very much visited. One of the best dive sites in Malta. Visit the Hagar Qim and Mnajdra megalithic temple complex and interpretations centre. Sightseeing tour North Blue Tour stops at this location including the megalithic temple close by. A walking distance of around 25 minutes. There is various Museums to visit in Malta. Valletta’s National Museums of which the Knights of St. John left a formidable heritage. The buildings themselves are museums of fine masterpieces of fine contemporary arts by well renouned international artists like Caravaggio. The Fortress Builders Fortifications Interpretation Centre Valletta shows the technique how the fortifications were built and are still there today. Roman Villa, the Maritime Museum at Birgu and other Museums to visit. The temples interpretation centre at Hagar Qim close to Wied Iz-Zurrieq, Tarxien Temples. The Domus Romana at Rabat a Roman villa remains from the first quarter of the first century BC. The Mdina Cathedral and its’ museum. Enjoy the Maritime Museum at Birgu giving a glimplse of the extensive maritime museum of our ancistors. Malta’s mix of museums will give you an edge on Maltese culture. Sightseeing tour for the north and south pass by various museums. There are various Museums to visit in Malta. Valletta’s National Museums of which the Knights of St. John left a formidable heritage. The buildings themselves are museums of fine masterpieces of fine contemporary arts by well renouned international artists like Caravaggio. Also The Fortress Builders - Fortifications Interpretation Centre Valletta shows the technique how the fortifications were built and are still there today. Other Museums to visit are the Roman Villa and the Maritime Museum at Birgu. The temples interpretation centre at Hagar Qim close to Wied Iz-Zurrieq, Tarxien Temples and Ghar Dalam at Birzebbugia. The Domus Romana at Rabat a Roman villa remains from the first quarter of the first century BC. The Mdina Cathedral and its’ museum. Enjoy the Maritime Museum at Birgu giving a glimpse of the extensive maritime history of our islands. To plan your Malta sightseeing experience, use the North Blue and South Red routes to plan and locate the top attractions along the way and nearby places. In Malta getting around is easy due to its size and all important locations are within reach of each other. For ease of reference we have marked the location as Top 10 Things to do in Malta. Due to Malta’s compact size sightseeing is easy and you can see most of the important sites within a sort time. If you’ll be on the island for a short time, it is good to focus on the top 10 Things to do in your must see list. 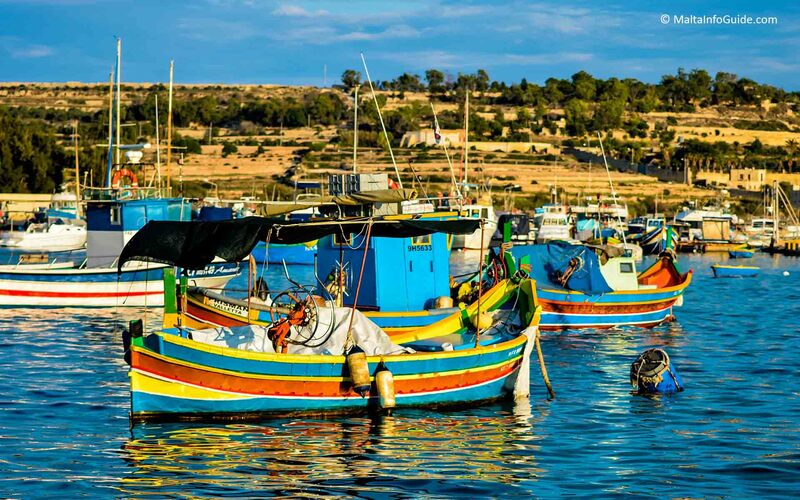 A fishing village on the south coast of Malta very popular with locals and tourist. Tranquil village ideal for relaxation, walking around, shop from the many daily open market stalls including fresh fish. Eat in the many restaurants along the promenade from the fisherman’s daily fresh catch. The area is a picturesque one with colourful boats and fisherman mending their nets. The location is ideal for walks. Restaurants are rather plentiful and food is of good quality. Open daily market where you can buy souvenirs. Swimming locations nearby at Birzebbugia sandy beach and alonf the rocky coastline. Delimara Point and St. Peter’s Pool at Delimara. The top 10 things to do in Malta, places, activities, entertainment to enjoy your wonderful holiday in Malta are a feel of what you find and explore when visiting our beautiful gem of an island. Combine these famous places in Malta with sightseeing tours to make most out of your holiday and have enought time for swimming and evening entertainment. Find out more information when visiting the site about various important places to visit and enjoy.